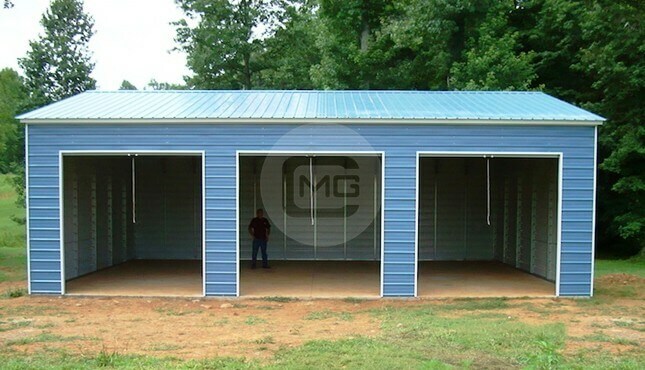 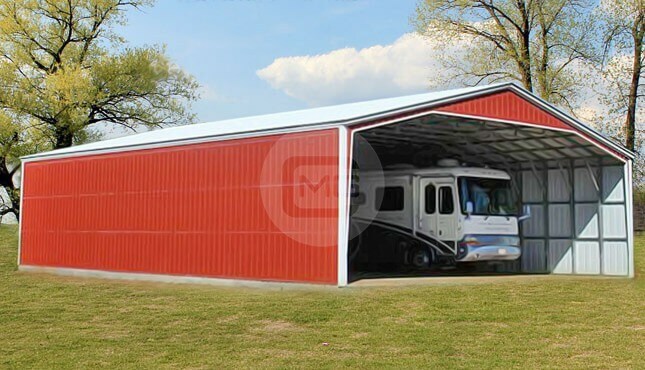 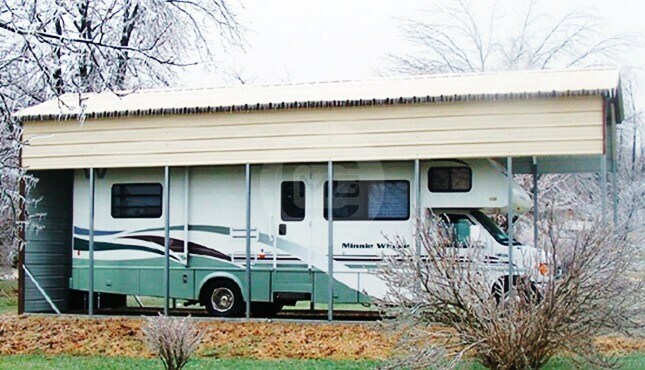 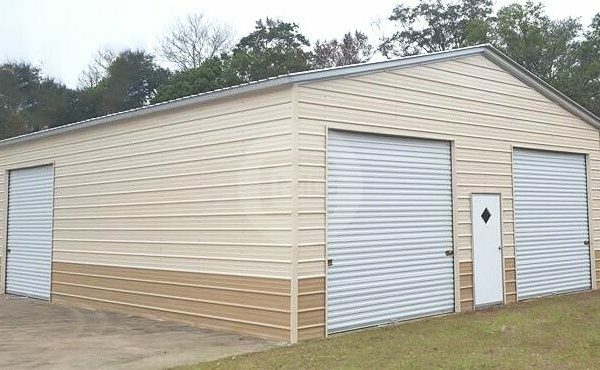 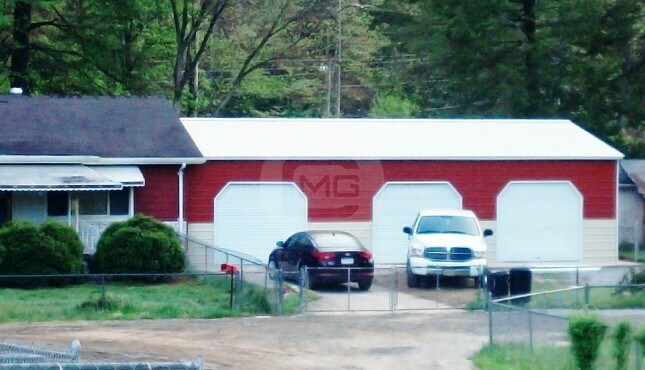 Pictured a 28×40’ Wide Metal Garage with vertical roof style. 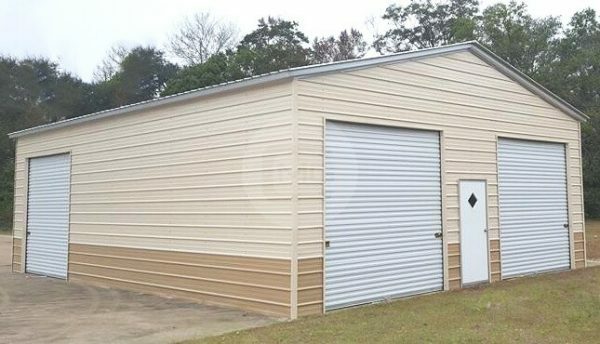 This Garage has good clearance for large vehicles and machinery. 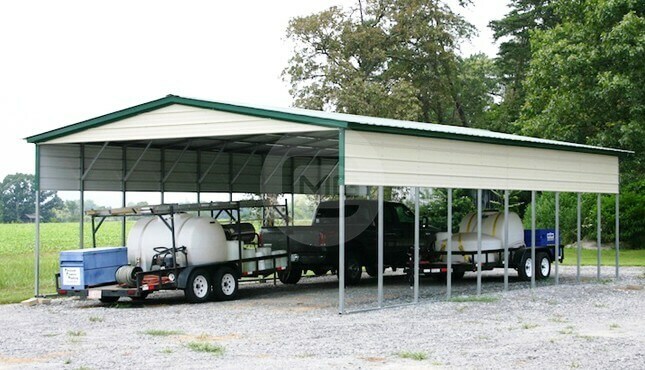 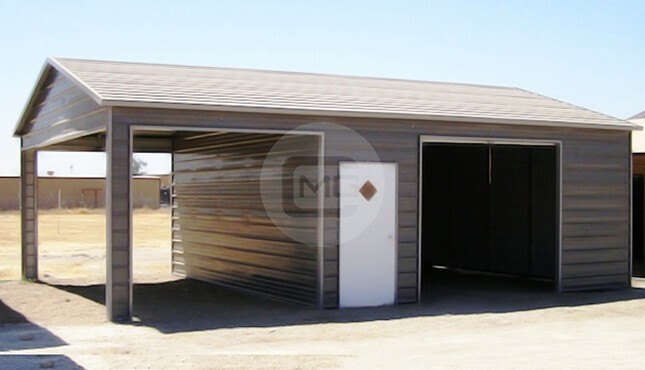 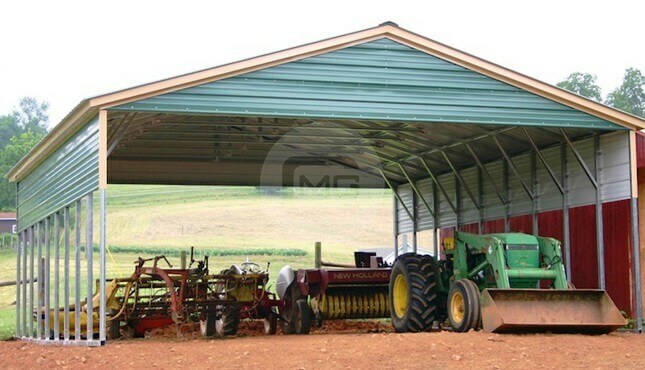 Designed with 14 gauge galvanized steel tubing and enclosed with 29- gauge sheet panels – this 28×40’ metal garage is certified for heavy snow and wind loads. 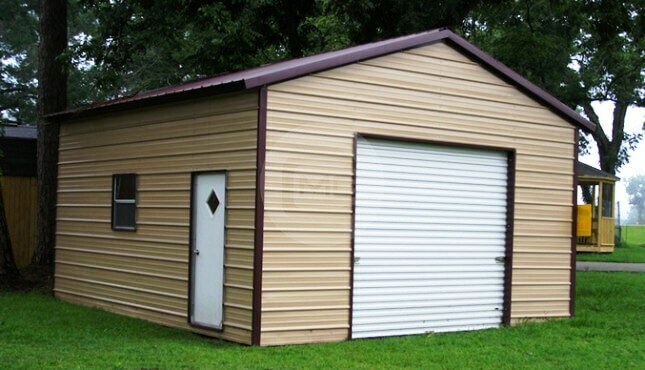 There are three 10’ x 10’ garage doors and (1) 36” x 80” Walk-in door with a two-tone color match package.